Soloists of Prague, Virtual Vocalist from Virharmonic. One by one, the virtual instrument developers are adopting the new Pace Eden security system. Virharmonic is one of them. Virharmonic now gives the choice to authorize their software licences either on an iLok dongle or your computer hard drive. This applies to both Voices of Prague and the new Soloists of Prague sound libraries purchased after December 7th, 2013. Soloists of Prague, that was released at the end of last year, features the voice samples of 4 singers of the Prague Philharmonic Choir: soprano (C4 - C6), alto (G3 - E5), tenor (C3 - C5) and bass (E2 - E4), recorded with three dynamic layers and a close microphone position. 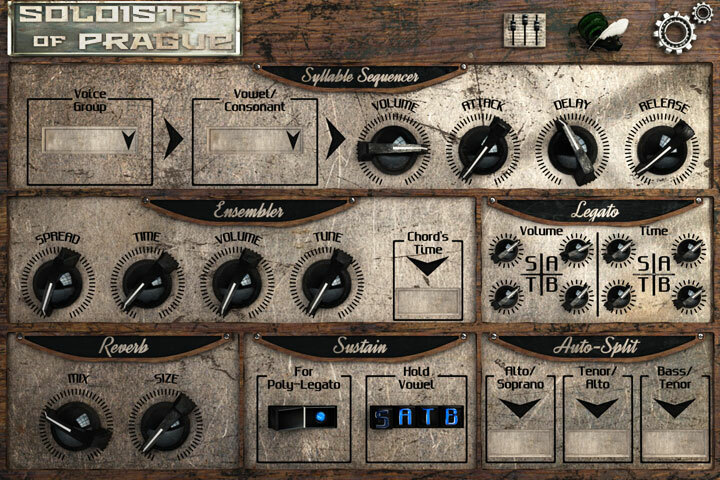 The library includes multiple articulations (sustains, staccatos, marcatos and legatos) and the custom interface for the UVI Workstatsion gives you access to addition volume, pan and stereo spread controls, as well as a reverb, splits tools and a syllable sequencer with volume and ADR. The 8481 samples of the library are in 24-bit / 48kHz format. 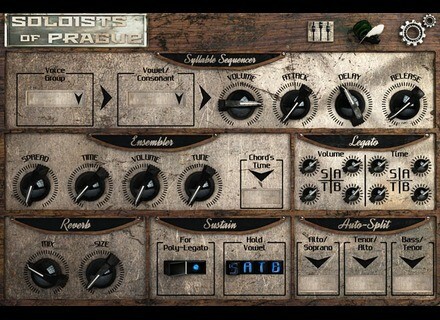 More information about Soloists of Prague and the new licence authorization system at virharmonic.com. NTS Audio 4x4 Drummer updated to v1.1 NTS Audio updated to version 1.1 its 4x4 Drummer Pro virtual automated drum machine for Windows. The Dugan System emulated by Waves Waves and Dan Dugan collaborated to recreate in the virtual world the Dugan Speech System Auomatic Mixing Controllers. [NAMM] The Nektar Panorama soon ready for Logic The Nektar team will be at NAMM 2014 where they should introduce the Logic Pro integration for their Panorama MIDI controller keyboards.